If you’re looking to buy a home for the first time, there are plenty of factors that you need to consider. Are you financially able to afford and maintain a home? Do you have job stability? What about emergency funds? Coming in unprepared can turn home ownership into a complete nightmare. The financial weight of a mortgage is already taxing enough on a homeowner. Although you can never predict how stable your job is, it’s important that you at least put this in consideration as the worst thing that can happen to a homeowner is getting laid off or fired. If you don’t have an emergency fund already set up, it’s recommended that you consider opening one up. A homeowner is realistically going to run into several maintenance problems throughout the tenure of their stay. Not only that but factor in accidental injury costs, car repairs, and other expenditures and you could end up being weighed down by an abundance of bills. In order to receive the lowest interest rate, let alone be even approved, for a mortgage, you need to have a good credit score. 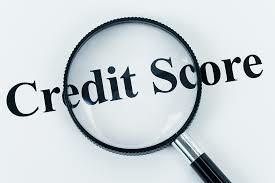 The better your credit score is, the better your chances are to score a low interest rate. If you’re looking into buying a home, then be sure to make working on your credit score a priority. Unless there’s a dire need to purchase a home, don’t settle for a high interest rate. Take the time to build your credit back up to save yourself from overpaying. Bio: Kuba Jewgieniew is the CEO of Realty ONE Group, a full-service lifestyle real estate brokerage firm.